Changes at RNC – Will They Help? I just read an interview with new RNC Chairman Reince Priebus, and, while he seems to be a good, dedicated man, it left me somewhat concerned about the future of our country. His predecessor, Michael Steele also is a good man, and he tried to do a good job. Yet, even if the new guy gets it all right, we need to be sure it is the job that needs to be done. He has been hailed as the answer to the party’s financial woes. Woes that stem from the $23 million dollar debt left by the man who held the job before him. Somehow Steele is blamed for this financial fiasco as if his lack of fund raising skills was solely responsible for this debacle. Let’s think about this for a bit. The Republican Party is the one that trumpets its dedication to fiscal responsibility. The thrust of the party line is that our national government running up unconcionable debt is the result of two factors – the amount of revenue and the amount spent. Yet, the party finds itself struggling under a load of debt… debt not all incurred by the former chairman. Like a less than successful football team, they seek to change their fortunes by changing the coach. The new guy seems to be doing fairly well as his efforts during his short tenure has reduced that debt by 2 million dollars. 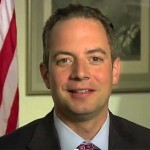 Priebus talks about restoring the confidence of the donors which is necessary to keep the money flowing to feed the coffers of the Republican National Committee. We are often told that “money is the mothers milk of politics”. In many ways, this is true. It is true in the world of high priced media of all sorts and the consultants that guide huge piles of dollars in their direction, and the RNC is looking at combating Barack Obama’s billion dollar war chest. What, then, will it take for the party to find it’s way back into the good graces of the moneyed benefactors? Will it take skewing the presidential selection process in favor of such tepid defenders of freedom as Mitt Romney or one of many more non-descript politicians who want to be something rather than do something. Many of those who can supply the financing needed to make the party apparatus function tend to look askance at such elements of tea party orthodoxy as cutting corporate welfare, auditing the fed and making the government more responsive to the average voter. One of the few times I’ve agreed, at least partially, with Arianna Huffington was when she declared that America has two parties, the anti-abortion corporate party and the pro-abortion corporate party. Even among the “good guys” we have some at the upper levels putting their interests above those of the country. On one hand, Priebus recognition that “The Republican Party is just part of the Conservative movement.” shows a rare presence of humility in the political sphere. It is recognition that the party itself is not the sole repository conservative wisdom, and expresses the need for the party to fit in with the rest of the freedom lovers in our country. On the other hand, he sees the tea party types looking for real restoration of freedom in our country as just one of the groups he has to work with to form a winning coalition. This is the situation. This new chairman is not a bad guy, yet he is part of a system that, by its very nature, cannot be relied upon to bring about the changes we need to save our nation. Does this mean that the Republican Party is thoroughly corrupt and utterly useless in the battle to push back the advances of our oppressors? No, but we need to “be as shrewd as snakes and as innocent as doves.” (Matthew 10:16b NIV) We need to work with them when it is appropriate, yet not be drawn off in other directions just be good worker bees. We need to get over believing that just because the party designation is right, the politics are.